A couple Thanksgivings ago, I introduced you to the Pancake Turkey. 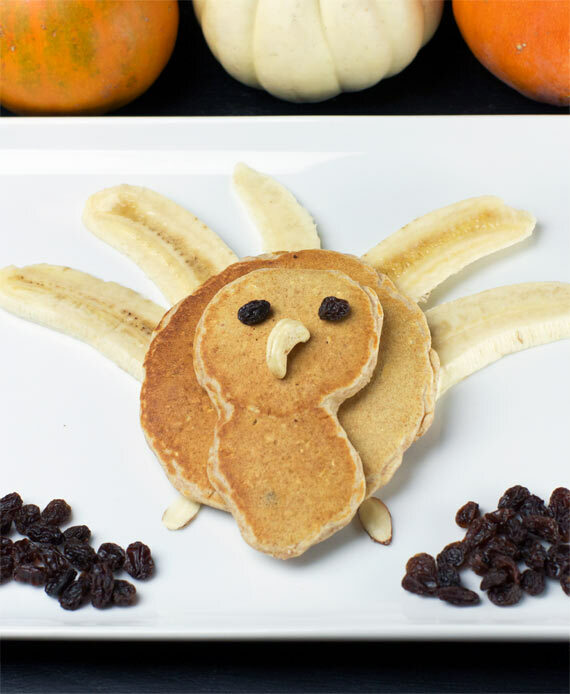 This year, I’d like you to meet Pancake Turkey II, a variation on the concept of pancake turkeys. 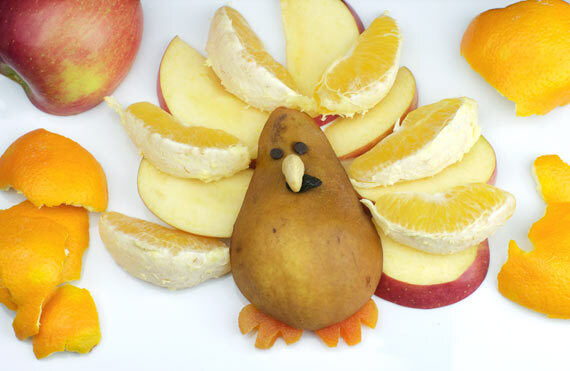 I’ll also introduce you to a special, new Thanksgiving friend… the Fruit Turkey. 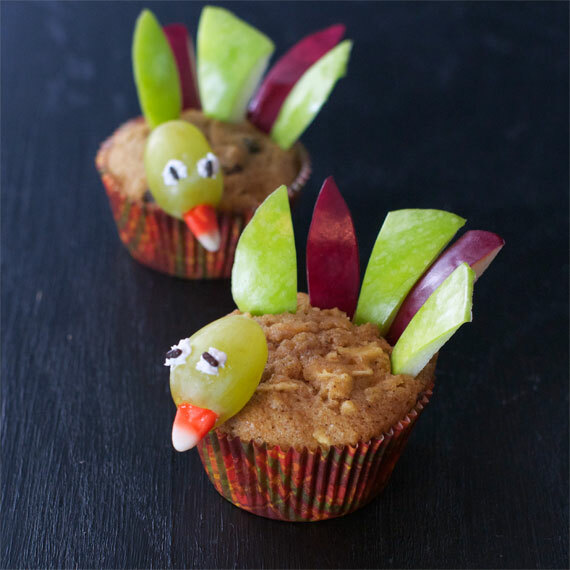 If that’s not enough… new for Thanksgiving 2014, I will show you the rare and exotic Muffins Turkey. This (above) is the first pancake turkey I ever made. For this gobbler, you need a pancake mix (or homemade pancake batter), a banana, candy corn, a chocolate chip or a raisin and a maraschino cherry or a small dollop of red jam. You can get complete instructions right here. 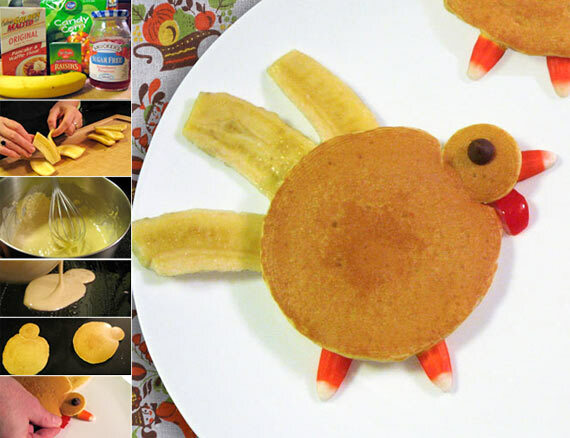 This is my latest attempt at the craft of pancake turkeys. This one has a little more dimension. 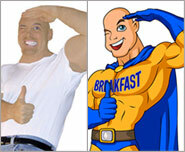 To make this guy, you need pancakes, a banana, raisins, sliced almonds and a cashew. Making the body is just a matter of making one normal pancake and one that’s vaguely phallic. Slice the banana and you’re ready to go. Now, this handsome follow is a rare, endangered fruit turkey. He’s endangered because I’m seriously about to eat him. Fortunately, you can help repopulate the fruit turkey population with a pear, an apple, an orange, 2 mini-chocolate chips, a raisin and a cashew. What should I name my fruit turkey? Your comments are welcome below. Here’s a pair of exotic Muffin Turkeys. 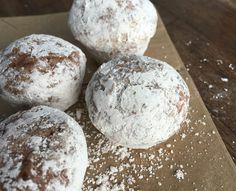 You can make these with any muffins. You’ll need some grapes, candy corn (wedged into the grape) and some red and green apple slices. A toothpick is used to attach the grape head to the muffin body. I made eyes with icing and chocolate sprinkles. 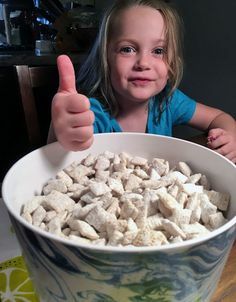 You could also just dab on some chocolate sauce or peanut butter. 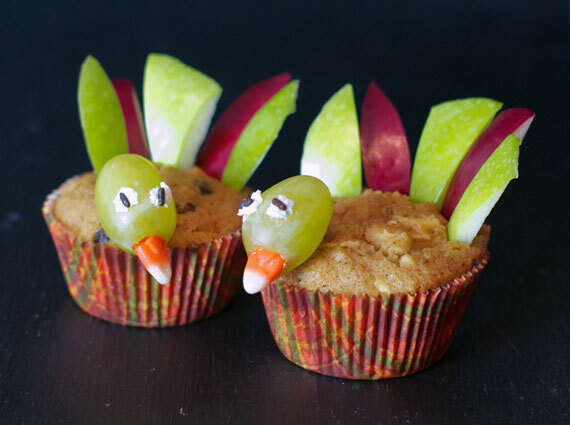 The muffins I used for these turkeys were Apple Bran Muffins. That concludes today’s lesson in the art of breakfast turkeys. All that’s left to say is “Happy Thanksgiving!” I hope it’s your best one ever! That’s brilliant. 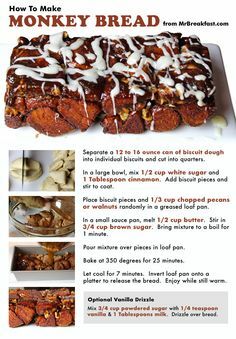 I am so going to create this breakfast on Thanksgiving and the french toast Christmas tree breakfast this year at Christmas. The kitchen is open, but they won’t know what the heck I’m doing until it all comes together. So fun~!